When someone from the local animal shelter approaches her about finding grant funds that have gone missing, Ginny Mallard convinces her bartender friend Teddy Tonica to help her investigate once again. They soon discover that something is disturbing the animals at the shelter at night…and then a dead body shows up. 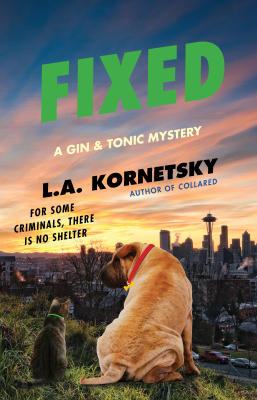 With the help of Ginny’s Shar-Pei puppy and Tonica’s tabby cat, this unconventional crime-solving team has to figure out what’s going on before the shelter – and more people – lose everything….